Makassar cuisine is perhaps like German in Europe. It’s all about meat, straightforward, rustic, but richer – thanks to the spices. Sop konro is clearly among the most favorite of Makassar dishes in Jakarta. When talking about it, you simply cannot discount the presence of Rumah Makan Marannu in Kelapa Gading. Makassar people sure know how to drool people with their meat business. In many of their famous dishes – such as sop konro, coto, pallubasa, or sop saudara; they give us a prime example on how to use many parts of beef or buffalo meat in a dish and to combine it with many versions of soup accompaniment. Within the den of eateries in Kelapa Gading, it’s not actually hard to find Sop Konro Marannu thanks to their fame. However, the situation is like in Makassar itself because foodies will be torn apart with the competition between Serigala or Onta for pallubasa, and it happens here as well with Marannu and Karebosi for their sop konro. 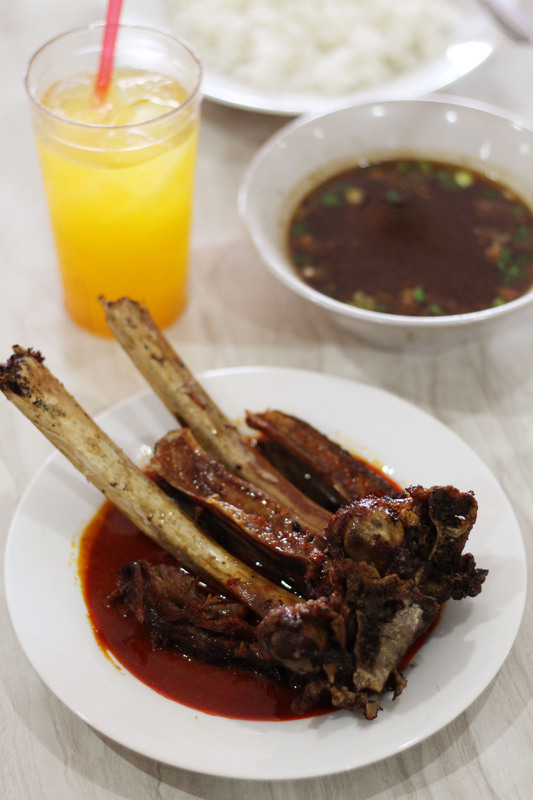 In Marannu, for example, the beef ribs came in huge and with the bones instead of being cut to bite-size whether they’re traditionally served with soup or grilled then served with peanut sauce. Like most of Makassar soups, the one with sop konro appears dark as well owing to the use of keluwak with a unique scent and flavor from coriander. The overall taste is a mixture between strong-flavored spices used in the soup, sweetness from the peanut sauce, and a decadent yet harmonious balance with the juicy ribs. Additionally, it’s not all about sop konro at Marannu. You also opt for coto, grilled fish, and some Chinese stir-fry dishes although not exactly related. But what you must not miss is their traditional desserts like putu cangkir, apang paringgi, gogos, barongko, and the refreshing es pallu butung. Find out what are the definitions of those tasty alien words by visiting the place and get to know more of Makassar cuisine just a few steps out of your neighborhood.